Find cheap flight deals to Stockholm, Sweden. Love Stockholm? Fly Here for Less! If you’re looking to come to Stockholm, we don’t blame you! The streets are filled with fashionistas rocking cutting-edge styles, restaurants and shops offering culinary delights, world-class museums, and charming neighborhoods… Who wouldn’t want to visit? The city itself spans over 14 islands and is connected by 57 bridges, making spending time in each unique neighborhood totally doable (not to mention, super fun). When you fly international to Stockholm you will land on Arlanda Airport, Bromma or Skavsta depending on where you fly from. The above seach form search and compare flight fares among over 450 airlines world-wide such as Norwegian, SAS, Ryanair, British Airways, Air France, KLM, American Airlines, Iberia, Finnair and many many more. 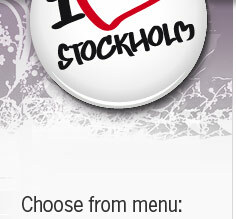 Here you will be certain to find the best price on your flights to Stockholm. Book your flight today and get ready to wander through Stockholm’s beautiful old town, modern city center, and fairytale neighborhoods!